Thank you Bernie Madoff! Bernie Madoff set the news on fire with a $50 billion Ponzi scheme for which he recently went to prison. Since then, a number of other financial schemes have come to light: Allen Sanford, Joseph Forte, even the Yacht scheme. But what are Ponzi schemes? How are they different from Pyramid schemes (and Matrix Schemes)? And, most importantly, what are the signs of pyramid schemes, ponzi schemes and matrix schemes? A pyramid scheme is a scheme which, true to its namesake, looks like a pyramid (actually, a triangle) when its relationships are graphed. At the top is either a single mastermind or a small group of originators. Under that level are other levels with increasing numbers of people in each level. So, one of the ultimate signs of pyramid schemes is how the money flows through ‘affiliates’ when graphed. The structure is a scheme because a pyramid passing money upwards quickly exhausts the number of people it can possibly exploit. People in each level recruit new people into the scheme, which generally involves some sort of a money transfer. Some of the money goes up the pyramid to the person who recruited that person, and so on until some money reaches this top. In this way, the higher levels of the pyramid are able to generate greater sums of passive income. What to look for: Requiring a buy in to start selling product (of questionable value) should put up at least a red flag. Similarly, requiring a buy in to acquire marketing materials before being allowed full information should do the same. Any direct transfer of cash to the person who recruits you is the ultimate red flag. Is Multi-Level Marketing Illegal? No, it is not, in many cases. Even though there is a structure in which higher levels of salespeople make money through commissions, the fact that a MLM company sells legitimate products makes it legal. There are some rules denoting legality, (there are other rules than this 70% rule, of course) but there are many legitimate Multi-Level Marketing companies. The heart of the news lately is filled with tales of investors taken for a ride in Ponzi Schemes. 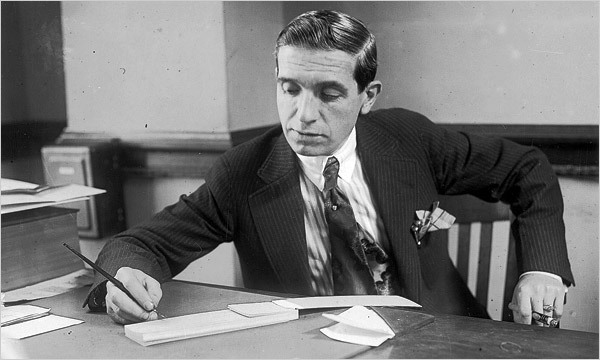 The term ‘Ponzi’ comes from Charles Ponzi, who ran a Ponzi scheme back in the early 1900s. He had $7 million in (claimed) assets at the peak of the scheme. Ponzi schemes are structured to appear as investments… when investors want to pull out their money, they are paid with the investments from other investors. In this way, Ponzi schemes can continue for as long as the originator can convince investors to continue investing. How is it different from a Pyramid Scheme? In a pyramid scheme, the structure relies upon passive income to flow to the top of the pyramid. In this way, all the levels of the pyramid (except the bottom) take money in and people in all levels have a reason to recruit new people to the scheme. In a Ponzi, one ‘Confidence Man’ (or a very small team) run the investment and attempt to recruit to continue the scheme. Any investors referred to the scheme are just a bonus. Additionally, pyramid schemes collapse due to the incentive to recruit a limitless number of people while Ponzi schemes last as long as confidence keeps people in the ‘investment’. What to look for: Ponzi schemes can be notoriously difficult to detect. Sometimes the collapse even seems unbelieveable when Ponzi schemes end. Madoff pulled his ruse off for decades. The most reliable marker would be unsustainable returns- but it’s hard to say what that means. Low transparency and inadequate auditing also should raise the hair on the back of your neck. Just keep your guard up; it’s hard to spot Ponzi schemes but you certainly should try. The matrix scheme is an interesting system which combines some of the features of other financial confidence schemes. In this system there is a queue which requires some sort of a payment to enter. Usually a product is sold for much higher than fair value to enter the queue. At that point, a person will move to the front of the queue as other people join. Once they move to the front, they will receive some high value item. Of course, the cost to join the queue and the limited population willing to spend it limits the amount of people who will join the queue. What to look for: The queue/matrix. This is the common thread that gives the Matrix Scheme it’s name. Recognize that a scheme of that sort is unsustainable. Another marker is the cost to join the system. If the product seems wildly priced compared to its market price, you may be looking at a confidence scheme. Keep Your Eyes Peeled, and Your Money Guarded! Unfortunately there is no shortcut to riches. Hard work, smart investing, and a little luck will maybe get you there. A thread between all types of financial confidence schemes is the usual guaranteed high returns. Make sure you examine all your investment opportunities closely, and good luck out there! Can you now spot the signs of pyramid schemes? Ponzi schemes? How about matrix schemes?